Note: On the night of Dec. 2nd a fire broke out at Ghost Ship in Oakland. This tragedy touched many in our community. We urge you to check out the fundraising effort HERE. THE STUD NEEDS TO MOVE! HELP US BUILD OUR OWN SPACE! Four months ago, a drastic rent hike and a precarious month-to-month lease threatened our Stud’s future. In response to this threat, we formed the Stud Collective and began the #SaveOurStud campaign. We have 24 months left at Harrison and Ninth Street. It’s a place that has been our home away from home, our recharge station, our Utopia -- our respite from a world where we don’t always feel welcome, appreciated, or safe. These will be two amazing years of celebration of all we have accomplished and two amazing years of saying goodbye to this historic spot. We may be in a new building in two years' time, but we are committed to making this new space Our Stud. The Stud has moved before. It first opened its doors on Folsom and Norfolk in 1966 where it stayed for 21 years before moving to its current location at Ninth and Harrison. That move did not dampen the Stud’s spirit or lessen its heart. In fact, it propelled the legend of the Stud to new heights. The move started a new era for the Stud, and the Stud didn’t just survive, it thrived. Now more than ever, we need places like the Stud for our community to gather, create, perform, and party. The Stud Collective has done the work of establishing Legacy Business status, buying the business, and securing the leases at the current and new spaces. Now… we need your help. We need funds to both update the current home of the Stud as required by law AND we need funds to move this 50-year-old Legacy Business into it’s new home. 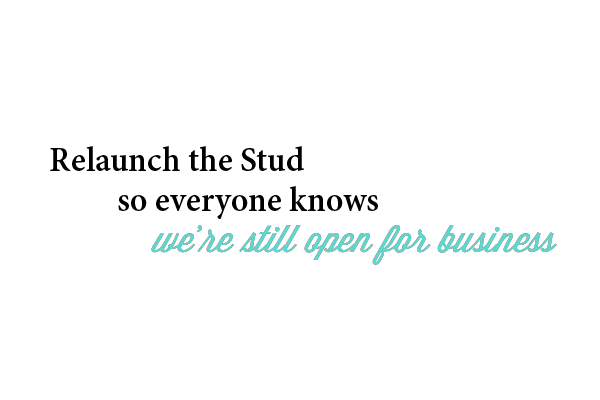 We will purchase and operate the Stud as a worker-owned cooperative. We will purchase by December 30th, 2016, preserving the legacy and staff of the bar while expanding the Stud's queer nightlife and performance offerings, keeping the Stud open at its current location for up to two more years before we move. We will move the Stud to its new home with a longterm lease! Thus securing the Stud’s future for generations to come! With your help we can build a venue that continues to inspire and support its performers, DJ’s, and patrons with the state of the art equipment they deserve! Our new location is a blank slate which means… we’ve got a lot of work to do! Your support goes towards building the new Stud. We want this space to reflect the best a nightclub has to offer, while carrying over the wonderfully intimate and social vibe that makes the Stud so special. Buying a business means upgrading the premises and making sure operations meet certain specific City and State codes. This often means substantial (read expensive!) upgrades to the building itself. We also intend to install new operating systems, sound, and lighting (these can be moved to the new location later) as well as upgrades to the stage and dressing room areas. And yes, we also want to finally fix that one bathroom so it works again! Purchasing the Stud means reapplying for all city nightlife and operating permits -- this ensures that we can serve drinks, host live performances, and keep you dancing all night long. Unfortunately, this is an expensive and sometimes lengthy process. Your contribution will speed things up and help us keep the Stud’s doors open. We invite you to be a part of this historic moment. Join us in continuing the legacy of the Stud. Your donation and support is what is going to help secure the Stud’s future. We are not just fighting to save a venue… we are fighting to preserve our history and the right to celebrate who we are in a space that is ours. Let’s make sure that we keep San Francisco queer by maintaining the legacy of performance art, amazing music, and lots and lots of love at the Stud. 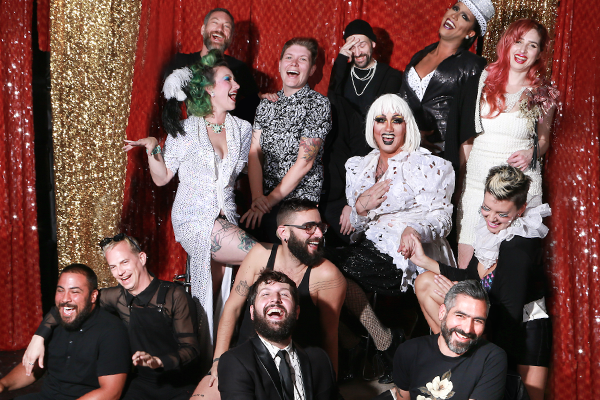 The Stud Collective, otherwise known as SOS: Save Our Stud, is a diverse and dedicated group of performers, promoters, drag queens, DJs, bartenders, and business professionals who banded together in August to save The Stud from closure. 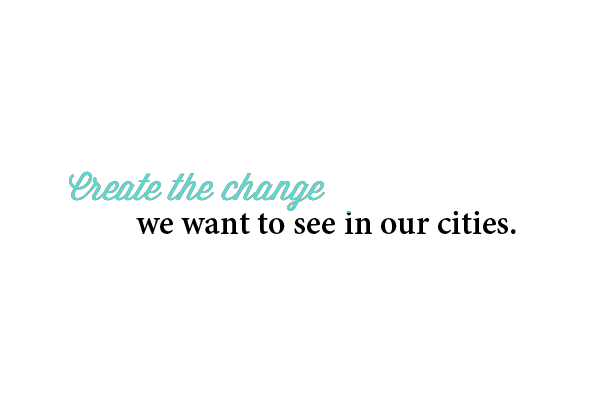 Together, we have formed a worker-owned cooperative to ensure that the Stud has the agility, resources, and community support it needs to survive another 50 years. For the past several months, we've worked closely with City Hall to purchase the Stud business, attain Legacy Business status, and hopefully provide a nationwide model for queer businesses that face closure from the forces of gentrification and apathy. 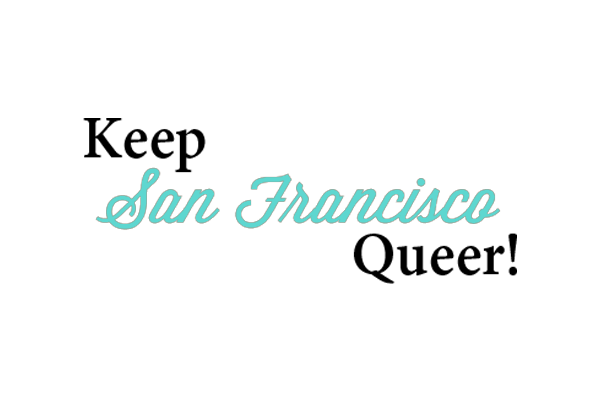 Our number one goal is to KEEP SAN FRANCISCO QUEER! We chose a cooperative model because we believe it reflects the ethos of the Stud as it is: a venue that doubles as a community space where connections are established and relationships fostered. A cooperative business model allows for custodianship of the Stud to be established by a group of people who might not have the resources necessary to save The Stud individually. Additionally, with the Stud as a cooperative, it can survive and thrive beyond the working life of the founders; operating according to its mission and vision, and providing employment and experience to SF night-lifers of the future. We hope this venture proves to be a model for others to save disappearing queer spaces in their communities. 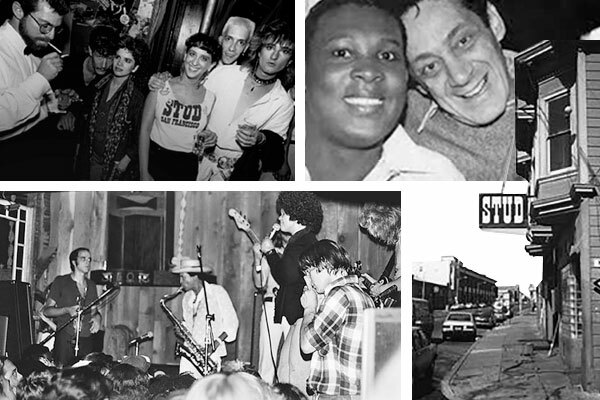 The Stud is a historic gay bar and San Francisco Legacy Business located in SOMA. Opening its doors in 1966 as part of the Miracle Mile, San Francisco’s infamous Gay Leather District, The Stud distinguished itself from other SOMA gay bars of the day by proving to be a place where everyone was welcome. Men, women, leather daddies, drag queens, and every person around and between could find a safe space, a trick, and lots of love. 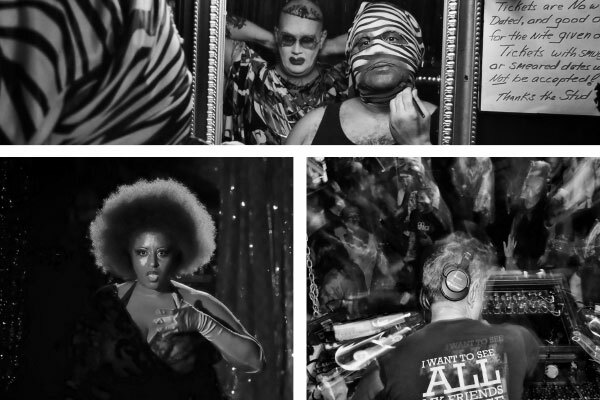 Since its opening, the Stud has become famous for it’s late night dancing and eclectic parties; played host to internationally renowned artists and performers; and helped launch the careers of some of the world’s best queer parties and entertainers. Sweet, sweet buttons! Show your Save Our Stud pride with two cute buttons to show off. Made by Broken Seal. 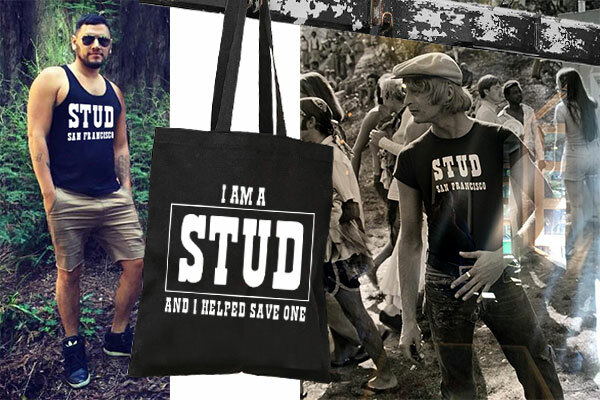 Kicky white tote that says “I’m a STUD — and just helped save one” in black ink. Head-turning black t-shirt with vintage white STUD logo, available in a limited edition. Why not both? With this cute tee and tote combo, you’ll look and feel great. Of course we’re gonna have a big party! You and a guest will be treated ike Stud royalty at our official Stud relaunch party in February. Meet with the Levi’s Tailor Shop team to design custom embroideries and embellishments, creating a unique, customized Levi's jean jacket. So cool! Become a perpetual Stud patron with your nameplate stamped on a stool at our bar! Live on forever as part of the essential Stud experience! People will remember your name, embossed on a nameplate over a urinal or toilet. Free entry for life into the Stud! You'll be the talk of the town with this baby in your pocket.